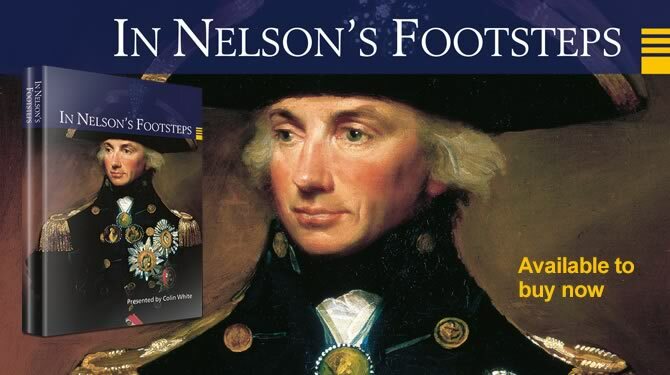 In this three part series, our presenter Colin White follows in the footsteps of Horatio Nelson in his native Britain, to explore the influences which shaped his character and formed his genius. Colin White is one of Britain’s leading Nelson scholars, with a number of books, articles, public lectures and TV programmes to his credit. In the opening episode Colin White visits Norfolk, one of the two most significant regions of the country for Nelson. He goes to Burnham Thorpe where Nelson was born into a rector’s family. We learn of how the young boy would have visited the sea ports nearby and heard the exciting reports of his seafaring uncle’s exploits. Nelson was later to join him at the age of 12 at Chatham Docks, on his battleship HMS Raisonable. In episode 2 our presenter visits the HMS Victory, the ship which was to become synonymous with Nelson’s name. We discover the problems that he experienced in his private life, due to his childless marriage with Fanny Nesbitt. But his naval career went from strength to strength with each naval victory that he won. After recovering from wounds in battle he was to meet the great love of his life Emma Hamilton. We go to Merton Place in London where Nelson was to experience a short period of happiness with Emma and their daughter Horatia. In the last episode Colin meets with one of Nelson’s descendants. We learn what life would have been like on board the Victory from the man who directly follows in Nelson’s footsteps. We visit the Admiralty boardroom where the plans for the Battle of Trafalgar were made. Colin describes the last few hours of Nelson’s life on the Victory before he was fatally wounded. We see and hear how Nelson’s life and death was celebrated at his funeral at St. Paul’s Cathedral.